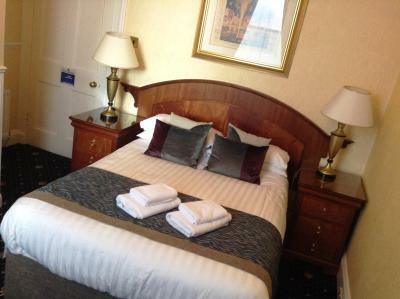 Lock in a great price for Classic Guest House – rated 8.9 by recent guests! Convenient location for touring Edinburgh. Close to bus line and good restaurants near by. Very good breakfast with lots of options. Very welcoming and helpful host. Very nice breakfast provided by extremely polite staff. Large, comfortable room. 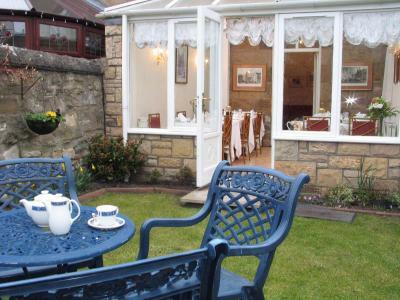 Property beautifully maintained, lovely owners & great food. Highly recommended. Breakfast was awesome. The host was extremely helpful. Will stay there again! Customer service was wonderful! Staff was very friendly, helpful, and extraordinarily accommodating!!! 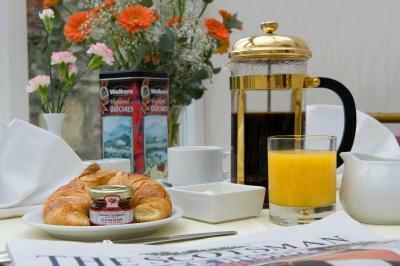 A definite must if staying in Edinburgh! Food was delicious!!! Coffee was amazing!!! I travelled with my family comprising of my elderly parents and one sister. Every one enjoyed the cozy stay at the Classic Guest House. My room, a single, was tiny but perfect for my needs. It was on the third floor (second as per UK terminology). 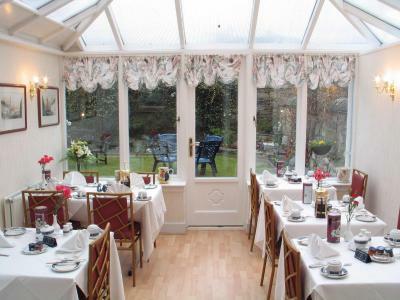 The (continental) breakfast was a pleasant affair in a sunroom in the garden. The proprietors were extremely friendly and helpful with directions. All in all, my three-night stay was most pleasant, and I would happily return. Classic Guest House This rating is a reflection of how the property compares to the industry standard when it comes to price, facilities and services available. It's based on a self-evaluation by the property. Use this rating to help choose your stay! 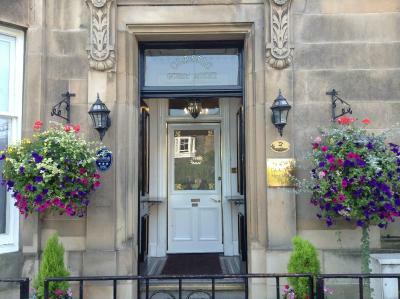 Located 10 minutes’ from Edinburgh city center, Classic Guest House is a Victorian era town house which has retained many of its original period features. 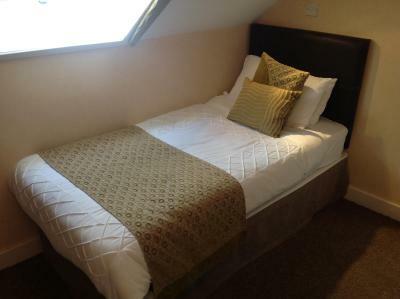 Located in a quiet residential area, it offers free Wi-Fi throughout. 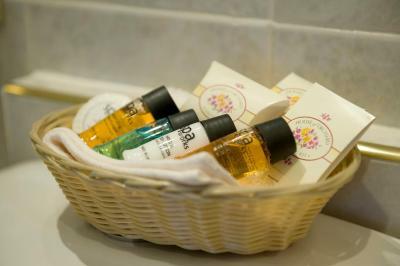 A private bathroom, LCD TV with DVD player and tea/coffee making facilities are provided in each room at Classic Guest House, as well as a hairdryer. A Continental breakfast is served each morning in the conservatory, which overlooks the property’s cozy garden. A wide variety of shops, restaurants and historical sites can be found within the city center. Edinburgh Castle and the Old Town can be reached in a 30-minute walk or a 10-minute taxi ride. Murrayfield Stadium, the home of the Scottish Rugby Union, is a 15-minute drive away. Newington is a great choice for travelers interested in museums, scenery and history. 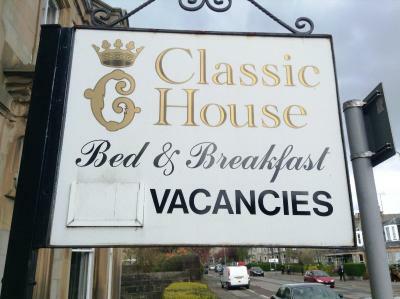 When would you like to stay at Classic Guest House? 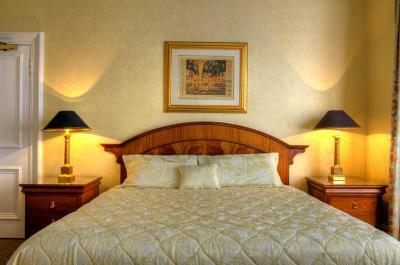 Free WiFi, a flat-screen TV with DVD player and an private bathroom are featured in this room. This room cannot accommodate any children or infants. Free WiFi, a flat-screen TV with DVD player and an private bathroom are a feature of this room. 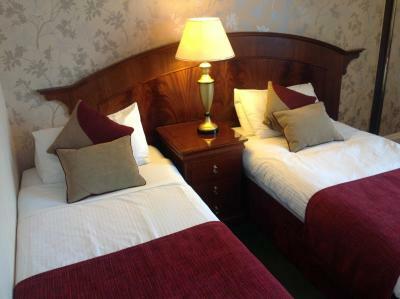 Please request double or twin beds when booking. This room cannot accommodate any children or infants. 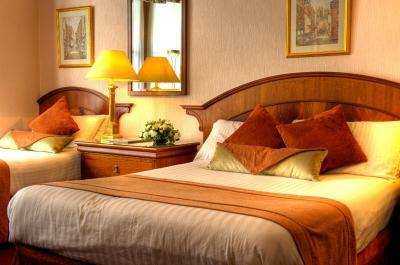 Free WiFi, a flat-screen TV with DVD player and an private bathroom are featured in this room. This is the only room that can accommodate children and infants. 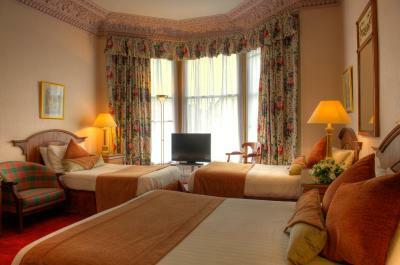 Free WiFi, a flat-screen TV with DVD player and an private bathroom are featured in this room. This room can only accommodate one adult and no children or infants. 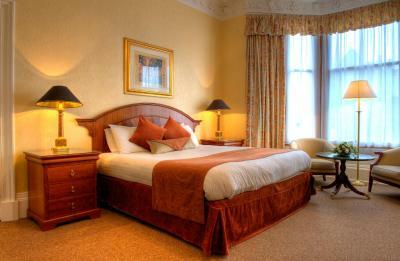 Free WiFi, a flat-screen TV with DVD player and an private bathroom are featured in this room. 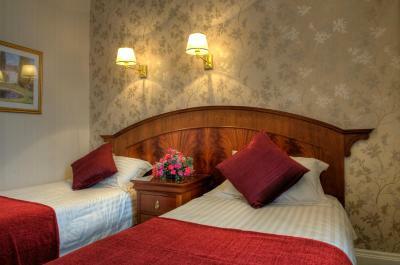 Please request double or twin beds when booking. This room cannot accommodate children and infants. Free WiFi and a flat-screen TV with DVD player are featured in this room. 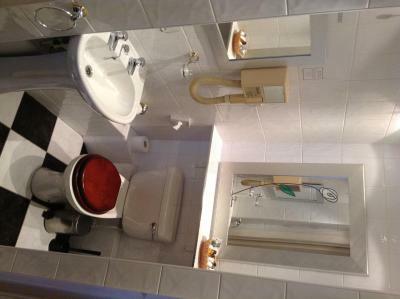 Private bathroom facilities are adjacent to the room for the sole use of the guest. (Bathrobes supplied). This room cannot accommodate any children or infants. A small, double, budget room with an private bathroom, on the second floor and therefore is unsuitable for elderly guests. There is free WiFi and a flat-screen TV with DVD player. This room cannot accommodate children or infants. 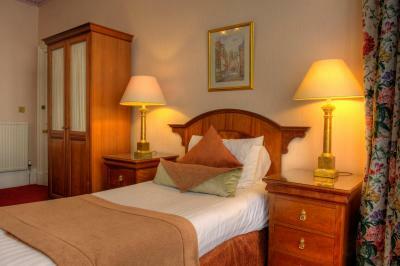 Free WiFi, a flat-screen TV with DVD player and an private bathroom are featured in this room. 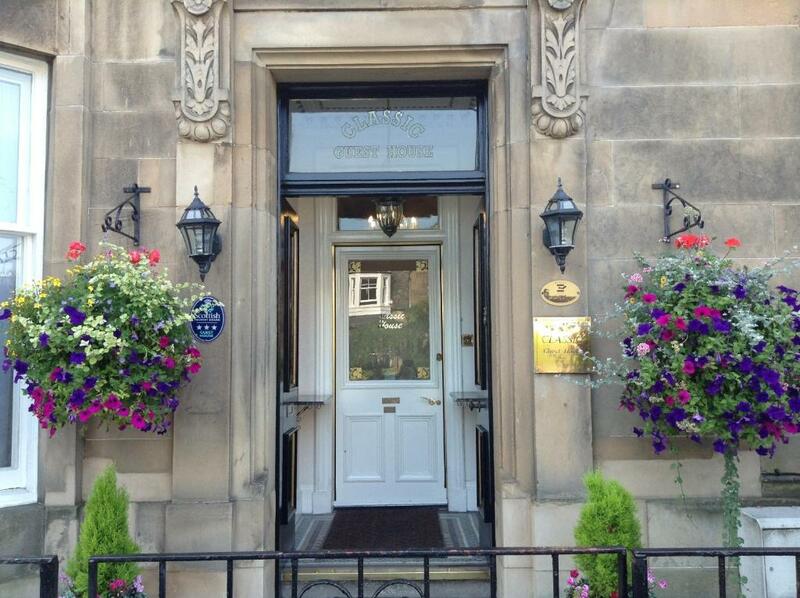 We are situated just 10 minutes from the heart of the city centre in a lovely area just south of the Meadows. 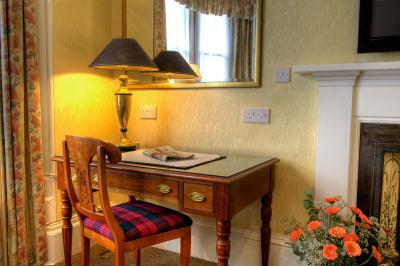 Most of the original period features have been retained within our beautiful Victorian town house. 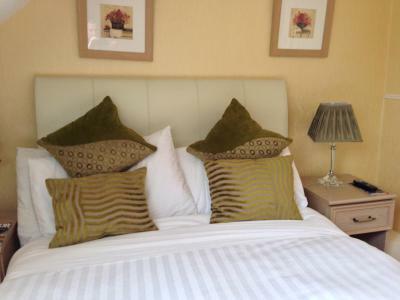 Accommodation will be in one of our elegant and comfortable en-suite rooms and breafast can be enjoyed in the conservatory overlooking our quiet garden. Area Info – This neighborhood is a great choice for travelers interested in museums, scenery and history – Check location Great location - show map Guests loved walking around the neighborhood! House Rules Classic Guest House takes special requests – add in the next step! Classic Guest House accepts these cards and reserves the right to temporarily hold an amount prior to arrival. Credit cards are required to guarantee your booking. Please inform Classic Guest House of your expected arrival time in advance. You can use the Special Requests box when booking, or contact the property directly using the contact details in your confirmation. Lovely staff, gentle and professional, high care about constumers. Warm environment, you feel like at home ...or better! Thank you Fiona and Wendy to make our jorney great! Warm friendly reception. Comfortable rooms and breakfast was good. Everything was perfect! We couldn't ask for more! The room was spacious and the breakfast was amazing! All the staff was so sweet, the property was comfy enough. Lovely place and host. Extremely friendly and helpful staff. Good location for getting buses to and from town center easily. the pillows were not very comfy. But I think that was a personal thing for me. My fault for not looking at the map closely prior to booking, but I think next time it would be worth paying more to stay centrally. Bed was uncomfortable - a bit too short for my (pretty average) height. Internet was not good. Lovely host, helpful and welcoming. There wasn't too much variety for breakfast. Every day exactly the same food. Nice, clean, comfortable room with private bathroom. I could hear the traffic from the main road through my window, the breakfast was pretty basic and not on for very long. The pillows were a little too plump for my liking. The location was good - nice area, just a short bus ride to the centre. The owner was very helpful and the bed was comfortable. The location was convenient, the room was amazing, big, clean with comfy beds, breakfast was very good and the staff/owners were very friendly, pleasant and helpful. I would definetely stay here again!! I´ve spent a very busy week in Edinburgh and I appreciated a lot my small cosy room with heating, clean bathroom and comfortable bed. Equipment for tea/coffee - wonderful! No problem to manage breakfast if I had to leave earlier. Really very nice hosts and staff. Easy to get from the place either to the city or to my working place by one of many buses.